So So cute and perfect colors for the summer and the fall! Look how cute my little Giada looks in a pair of these little things! and leave a comment here that you are a fan or already are. here with what item you would love to see on your little girl! leave me comment here that you are a fan. and comment here, dont forget to include links! Please leave separate comments per entry! We will choose a winner Friday, July 16th. We will choose a winner using random.org. I am a bella grace fan on facebook! I literally love everything in their shop. I love the cute hats, the little bottom bloomers with tulle. I can't choose one thing! I'm a fan on facebook for three yellow starfish! I'm a Facebook fan of Bella Grace Party Designs now! I'm a Facebook fan of Three Yellow Starfish! I love her shop, but I especially love the reversible pinafores! I would love to order Pretty In Pink Ruffle Bottom Bloomers!! I am a fan of Bella Grace Party Designs on FB! Also just became a fan of Three Yellow Starfish on Facebook as well!! I am a fan of Bella Grace on FB! Love you guys. I am a fan of Three Yellow Starfish on FB too. I simply love that shop. I love the ruffle bloomers and the reversible pinafores. Now a fan of Three Yellow Starfish on FB. Now a fan of Bella Grace on Facebook. Have to say I'm so excited about this giveaway! As soon as I saw your girls outfits I had to check out where you had gotten them and was instantly smitten with all her cute things! I would love any of the knot dresses, absolutely adorable! I am a fan of three yellow starfish on facebook! Posted about this fabulous giveaway on my blog. I love all of her stuff!! The ruffle bloomers and reversible pinnies are sooooo cute!! I'm a fan of Bella Grace on Facebook! Im a fan of Three Yellow Starfish on FB! My Isabella Grace looks adorable in Three Yellow Starfish clothes - love the pinnes and ruffle bloomers. We love all the clothes from three yellow starfish. My girls get so many compliments everytime they wear them. We need these tangerine bloomers! I just became a fuan of Three Yellow Starfish on FB! I just became a fan of Bella Grace Party Designs on FB! I would love to see my little girl in the pink bloomers from three yellow starfish! I am FB fan of yours! Totally between the hummingbird or minnie dot. I'm a fan of TYS on FB. I love the Mingle Ruffle bottoms! I am a fan of Bella Grace on Facebook! I am a fan of Three Yellow Starfish on Facebook. Absolutely love all the products they offer, the mini red and white polka dot ruffle bottoms are so cute and would love to get them for my daughter. Thank you. My baby girl's first birthday party is in 3 weeks...she would look adorable in the Pretty in Pink ruffle bottom bloomers! i am a fan of three yellow starfish on fb! i love the perfectly plum ruffeled bloomers and also the rasberry knot dress! I like the Birthday Girl Ruffle Bottom Bloomers! I'm a fan of the Three Yellow Starfish on Facebook! I can't decide on just 1 item for my daughter, I love them all! I love the ruffle bloomers - especially the lemony ruffle, hummingbird ruffle...the list goes on! a fan of Three Yellow Starfish on FB. posted giveaway on my FB. What a cute shop! I'd love the Hummingbird in Turquoise Ruffle Bottom Bloomers for a friend. Became a fan of Bella Grace Party Designs on FB. I am now a fan of Bella Grace Party Designs on Facebook! I am now a fan of Three Yellow Starfish on facebook! If I had to choose an item for my sweet baby from Three Yellow Starfish, I would choose the Mingle Ruffle Bottom Bloomers! So cute!!! Everything is so adorable, but I definitely would love to see the pretty in pink ruffle bottom bloomers on my little girl. I love anything pink! I have been a fan of Bella Grace for awhile! Love this blog! I am now a fan of three yellow starfish on fb! I love the Minnie Dot Ruffle Bloomers!!!! Well actually, I love them all!!! I LOVE the hummingbird ruffle bloomers, that is what I would soooo like to get from three yellow starfish! became a fb fan of three yellow starfish. shared the three yellow starfish etsy shop link on my little bits of joy facebook page. I'm a fan of Bella Grace Party Designs on Facebook! I want a pettiskirt SOO bad for my baby girl. I don't even care what color, I just want one!! And... I became a fan of Three Yellow Starfish on Facebook! Fan of Bella Grace on fb! 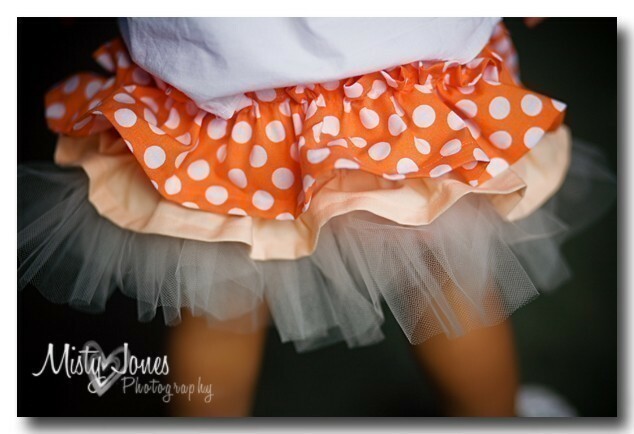 LOVE the Minnie Dot ruffle bloomers! Fan of 3 Yellow Starfish on fb! I am a fan of Bella Grace on FB! I love the Birthday bottom bloomers in the Three Yellow Starfish shop. Their stuff is ADORABLE! !